When you walked through the front door of Anthony’s Pier 4, you were transported to a place of old world hospitality, where spectacular views of downtown Boston and the waterfront beckoned just outside the dining room windows; the same dining room that featured a bridge over a live lobster pool and baskets of steaming popovers. 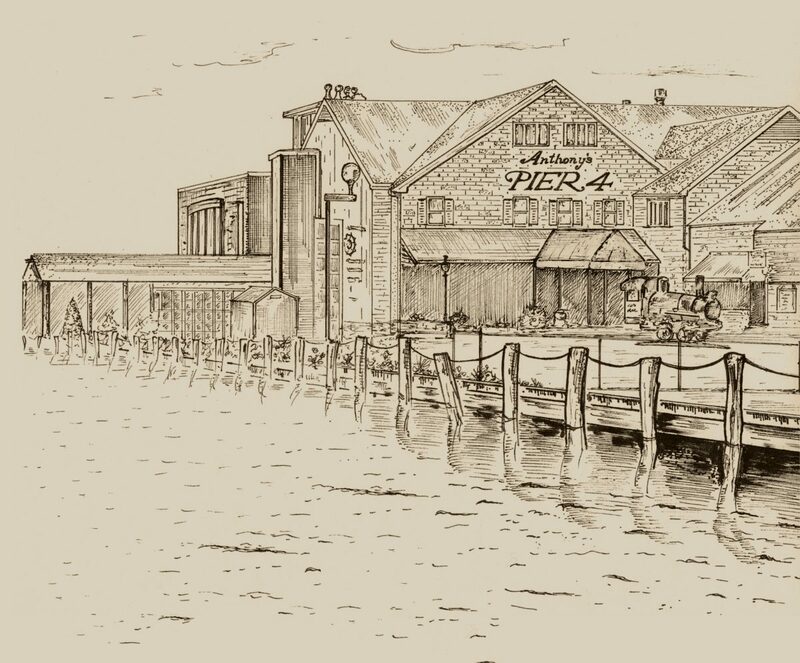 Indeed, the name Pier 4 was synonymous with one of the most storied restaurants in Boston history and one of the highest grossing in the entire country. On the walls were a pictorial history of the famous and, in many cases, legendary guests who had all dinned on the premises: from the Kennedy’s to Johnny Carson to Frank Sinatra. All were inevitably posing with the restaurant’s late owner and namesake who held court for over forty years: Anthony Athanas. It might have been where politicians got a deal got done; for celebrities such as Sinatra or Elizabeth Taylor, it was the perfect place to get a taste of New England when in town. For countless families from the surrounding suburbs, it was the favorite spot to celebrate a special occasion or accomplishment. For years, seafood served up by Anthony’s Pier 4 and nearby Jimmy’s Harborside were two of the only reasons anyone would venture into the city’s Seaport. How times have changed! To that end, a one-acre park will be built approximately where Anthony’s Pier 4 sat from 1963-2013. While the name Pier 4 will now stand for a different type of glamour with 106 of the city’s most innovative, luxurious and sophisticated boutique residences…it all started with Anthony’s: a destination where guests soaked up the beauty of the waterfront and were special memories were made.